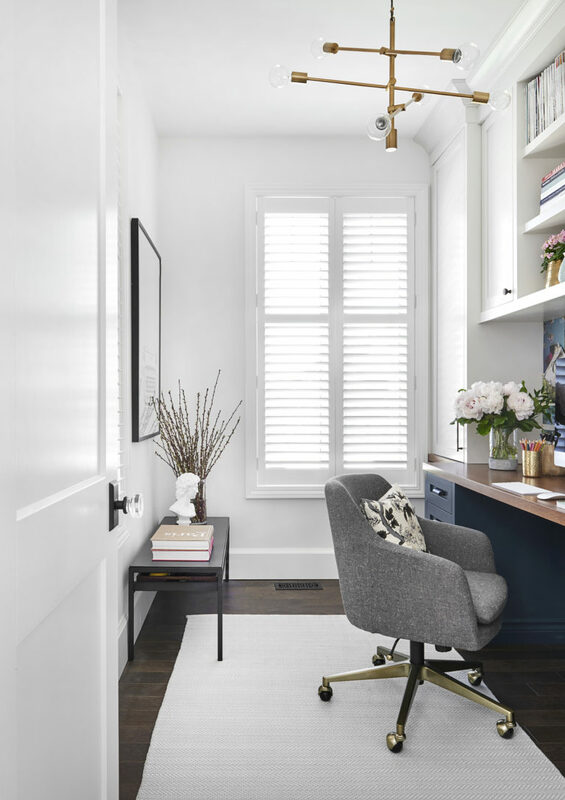 Whether you have your own room for a home office or you are using a designated space in your living room or kitchen, you want to make the most of your space and create a comfortable and productive work area for success. 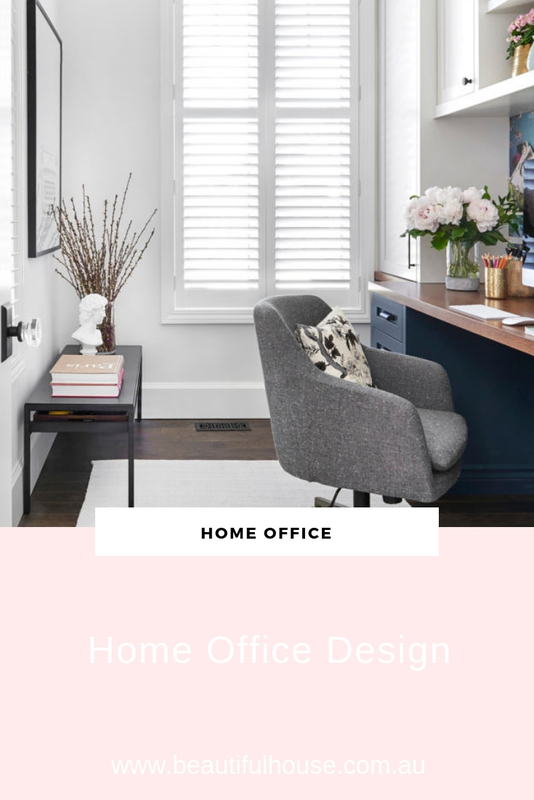 Today I have some home office inspiration and design tips. Design your home office with suitable lighting that helps you stay productive. We need more lighting in the colder months when it gets dark earlier but try to avoid working under the direct glare of overhead lights and to diffuse the light. A lamp shade is a great way to soften the light in your home office. A floor lamp will bounce the light off of walls and ceilings. 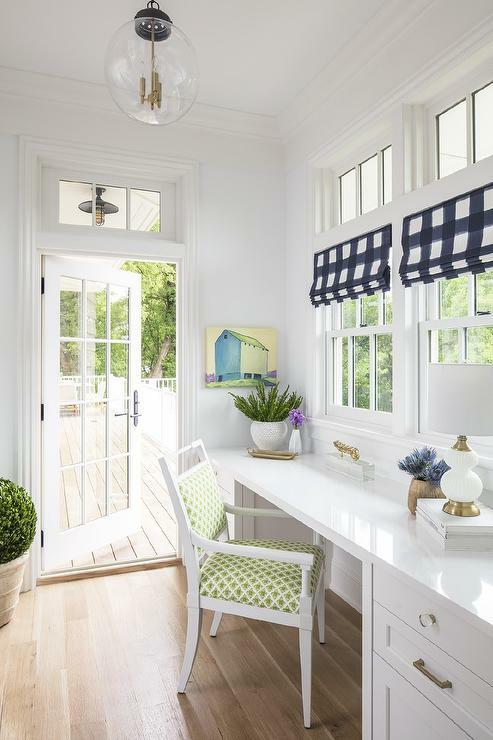 If you have large windows with plenty of natural light, place your desk in a position near the window to get plenty of natural light. It’s really important to use an office chair that will support your back and be comfortable enough to sit in at your desk. 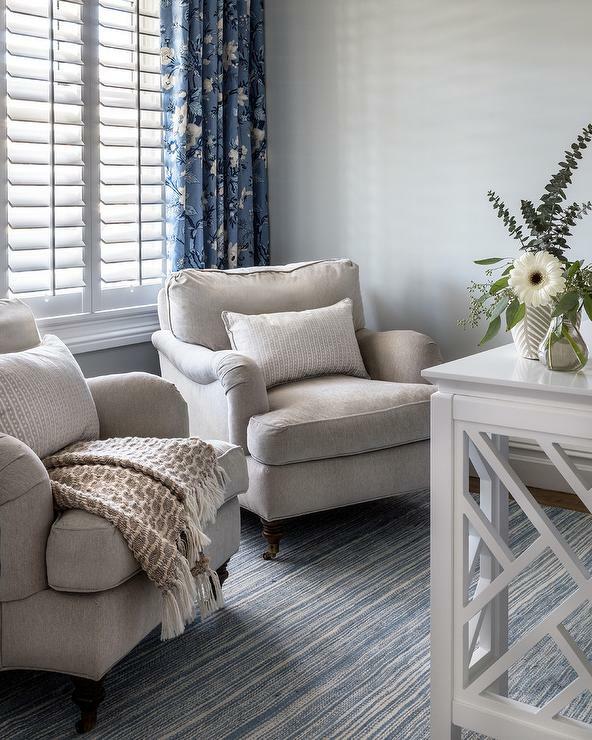 The office above from Salty home is so inviting with the two beige accent chairs placed on a blue striped rug. Storage in your home office is most important. You will need a delegated space to store your office stationery and a filing system for your paperwork. If integrated storage is not an option, purchase a cabinet with plenty of storage to store your items and keep your office neat and tidy. Design your home office with comfort, bright lighting and plenty of storage for a functional work space that you will love to spend time in. Do you have any tips for working from home?